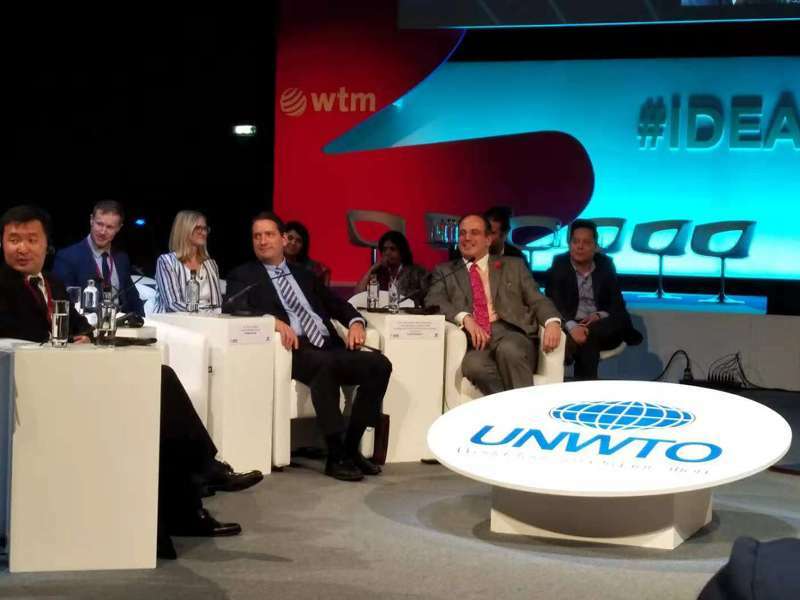 Opportunities in Africa and the latest travel trends for the region were the focuses of WTM London, which was held from 5 to 7, November. Air transport and transport infrastructure are the biggest challenges for travel and tourism development in Africa in general. Despite this, initiatives launched by the East African Community would open the continent to both regional and international tourism. And fortunately, major investments are underway to build ports and airports and airlines are being launched or re-launched. 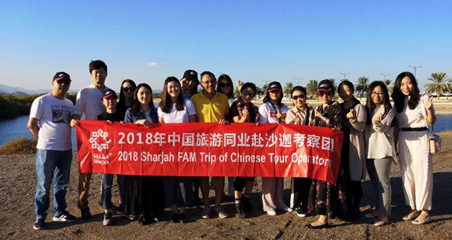 According to United Nations World Tourism Organisation (UNWTO) data, International tourist arrivals grew six percent in the first six months of 2018, compared to the same period last year, reflecting a continuation of the strong results of 2017. Europe, Asia and the Pacific led growth in the January-June 2018 period, with arrivals increasing seven percent in these regions. East African country Uganda has a mountain to climb and its tourism won large publicity and interest at WTM London. Uganda boasts of 11 percent of the world’s bird species and 54 percent of all mountain gorillas. Tourist arrivals in Uganda increased to 1449 thousand in 2017 from 1323 thousand in 2016. 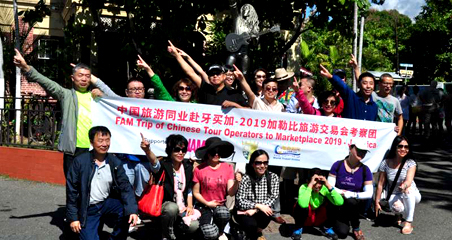 Tourism is Uganda’s largest foreign exchange earner. 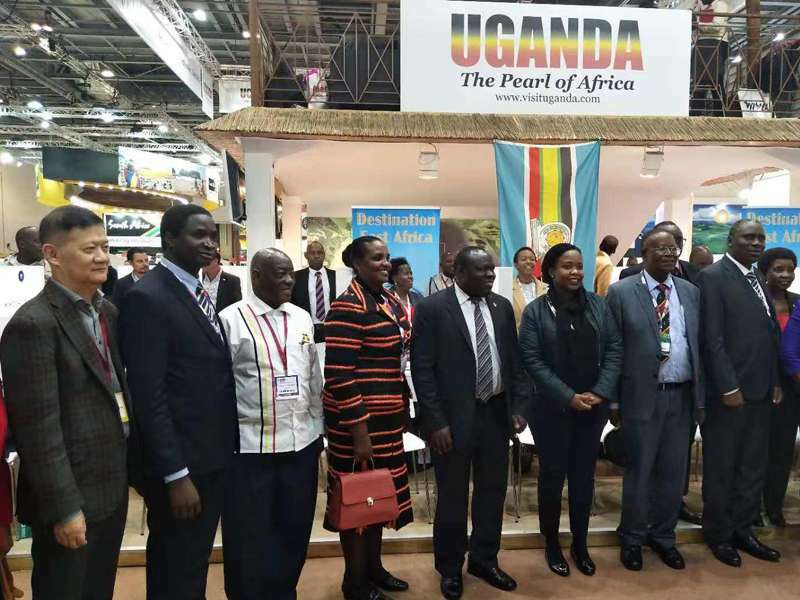 Uganda showcased its tourism highlights at WTM London. Madagascar, located in the southeast coast of Africa, boasts many idyllic beaches, specifically Ambatomilo. This small village is a truly unique haven and comprises a beautiful turquoise lagoon, which is the world’s third largest, and a beach often listed as one of the most beautiful in the world. 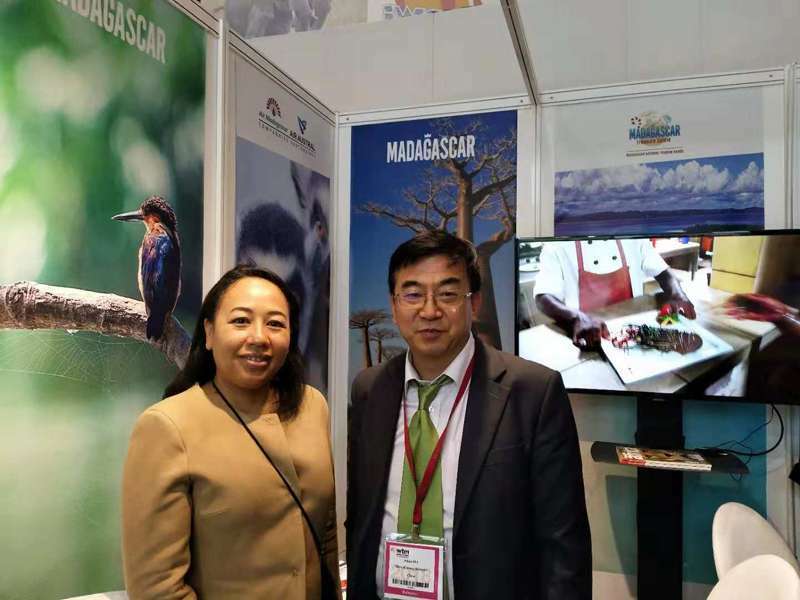 Dr. Wu, CEO of World Travel Online met with Executive Director of National Tourism Office of Madagascar Ms. Mme Vola Raveloson. And for West African countries, they are willing to improve their national images through marketing. Mali is one of the most peaceful nations on the African continent. The country has a great culture, friendly people, and breathtaking landscapes. This West African gem typically entices the more adventurous traveler with its wonderful outdoor excursions. 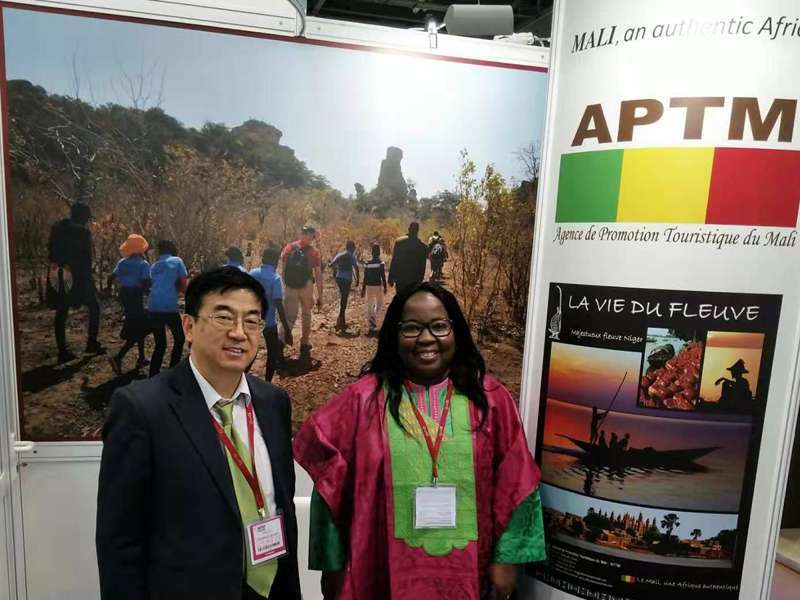 The delegation of Mali, led by Ms. Mme Outarra, Director General of Mali National Tourism Office, participated in the event to further enhance Mali's position on the world tourism map. 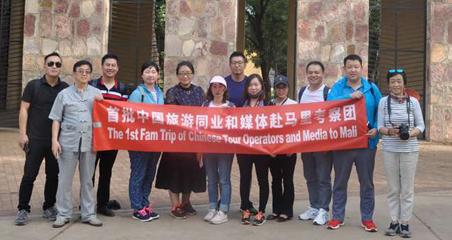 Ms. Mme Outarra introduced the tourism resources in Mali to Dr. Wu. Ghana boasts rich attractions, such as wildlife, exotic waterfalls, sandy beaches, caves, mountains, rivers, as well as UNESCO World Heritage Sites. What's more important, Ghana is famous for its colonial forts and castles. 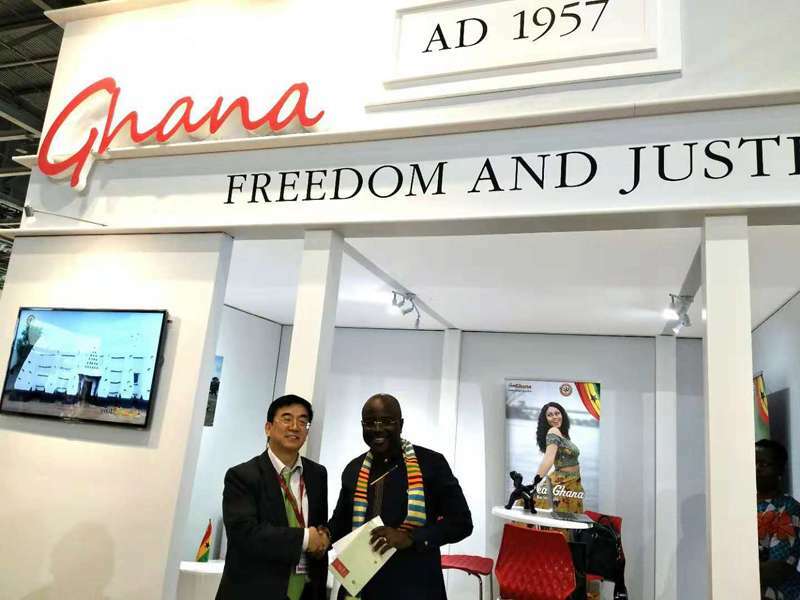 Dr. Wu took an interview with Chief Executive Officer of the Ghana Tourism Authority, Mr. Akwasi Agyeman. In addition, during the WTM London, A newly-formed multinational body – African Tourism Board was unveiled. It is expanding on opportunities for marketing, public relations, investments, branding, promoting and establishing niche markets.